With a waterproof linen lined, leather trim interior and a full leather exterior the briefcase is fitted with an extended zipper for easy interior access, the Briefcase meets at the intersection of functionality and beauty. 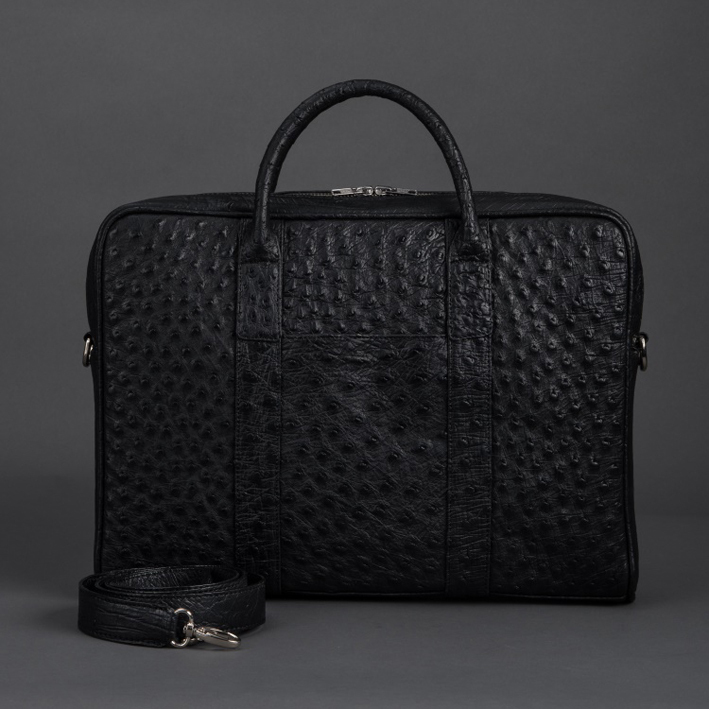 Our Briefcase is an understated, handsome piece. An 8cm handle and a removable shoulder strap allow the bag to be carried both in hand or on the shoulder. The interior compartment holds a laptop (up to 15") and has an interior zip pocket for business cards or travel documents. The one exterior pocket can be used for easy access to your phone, the daily paper, or any other small goods. 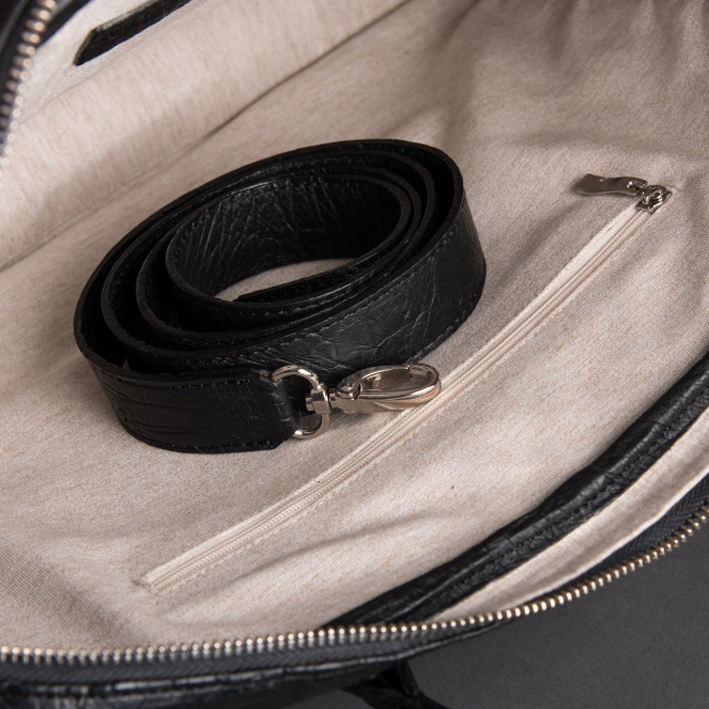 Solid-Nickel YKK extended zipper acts as closure. Fits all size laptops up to 15”. Fully lined with the waterproof and highly durable "Sunbrella" Linen Fabric. Individually handcrafted in Cape Town. 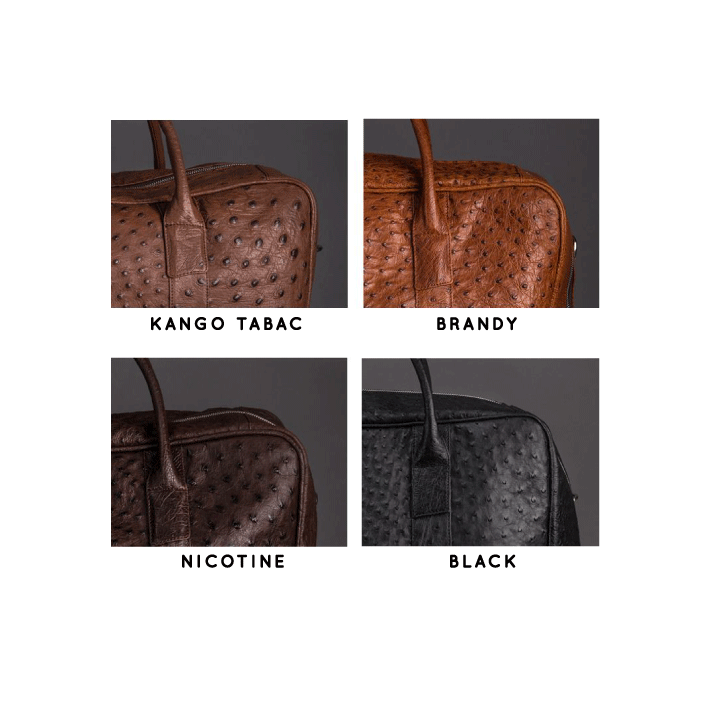 Notify me when Kango Tabac Le Roux Collection Briefcase is available.